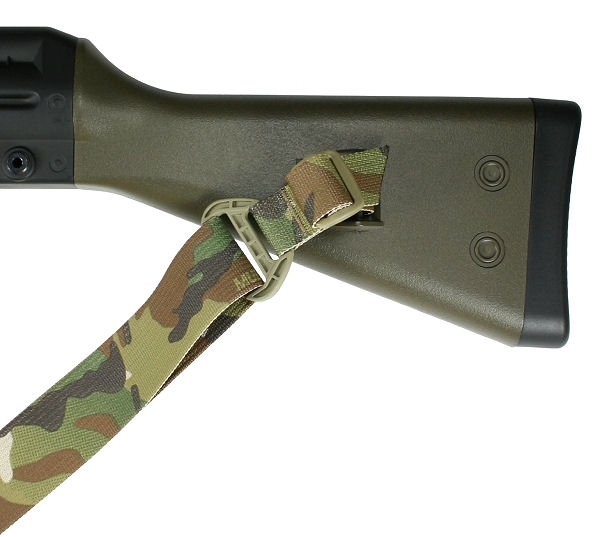 This sling is designed to fit fixed and collapsible stock HK91, HK93, HK53 variants with side mounted front and rear sling loops. 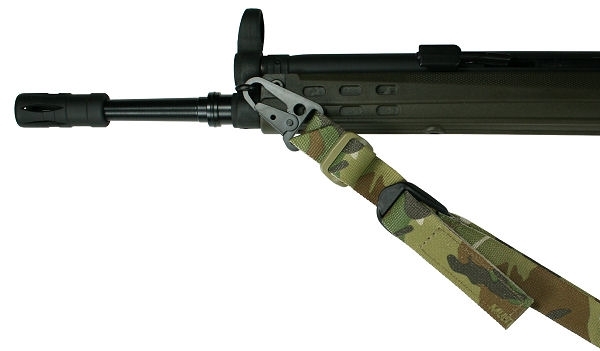 Provided with an HK style front sling hook and rear slider adapter. Note: You must have some form of side mounted front and rear sling loops/swivels for this sling to mount to. Our Recon Series Tactical Slings were designed specifically to address support gear weight concerns expressed by today’s warfighters. It’s very true that ounces add up to pounds and shedding any weight possible is a critical concern with every piece of gear you carry in the field. The challenge is to do so without compromising function, comfort or durability. And, that challenge has been met and exceeded with our Recon Series Tactical Slings. What we’ve designed is a sling that utilizes lightweight, yet extremely durable mil-spec Type 17337 and Mil-W-43668 webbing rather than conventional sling webbing. And the results are astonishing. Not only is the sling much lighter than its convention counterparts but it is also every bit as comfortable and durable. An additional benefit to using this type of webbing is that, in addition to our current range of sling colors, we can now produce them in camouflage patterns as well.